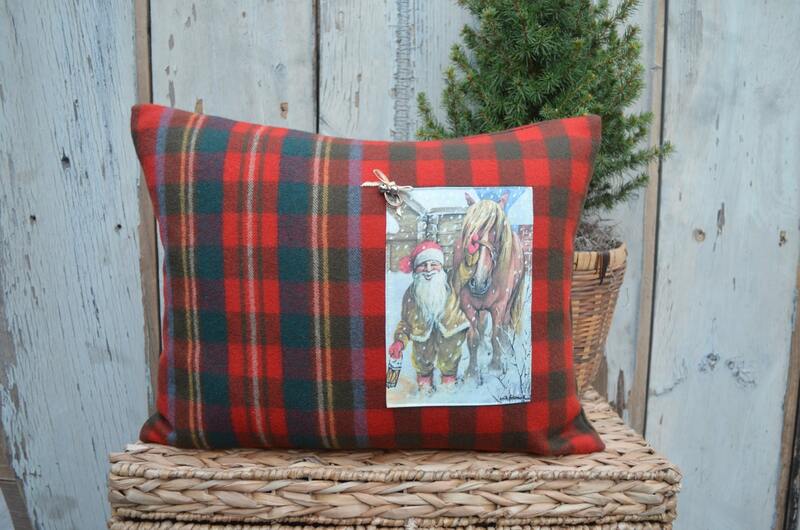 A Christmas pillow with a postcard image of a gnome and horse. This is one of our favorite holiday pillows! 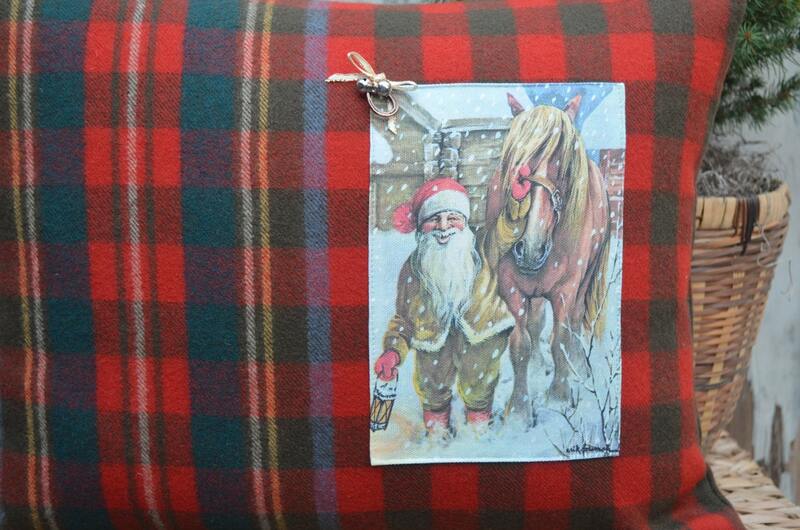 The pillow is made from 100% wool plaid and closes at the bottom with a zipper. It measures 17 inches long by 13 inches high. The pillow comes complete with a 90/10 feather/down insert.